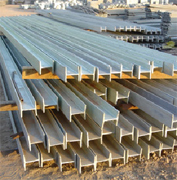 RSJ Poles are mainly used by Govt. Sector and Industrial Sector for street lighting and power transmission. These pole are manufacture on the most modern and sophisticated machinery and excellent team of highly experienced and qualified personals.